Every March, Management Career Services hosts a special event that celebrates the organizations, work term supervisors, and the co-op student who have stood out from all the rest. 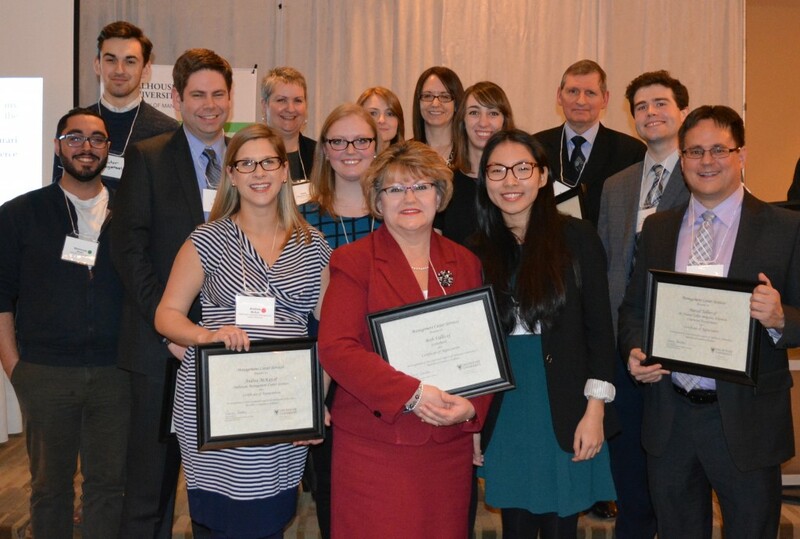 This year’s Employer Awards & Appreciation Reception took place at the Atlantic Hotel Halifax on March 4th where honorees gathered with members of the MCS team and other special guest employers and students to celebrate the outstanding achievements and contributions from 2015 that deserved recognition. 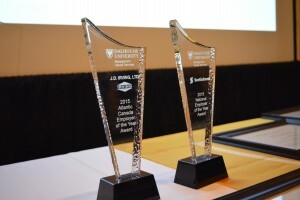 The two Employer of the Year awards that were handed out at the event represent a combination of highest number of co-op work terms along with highest level of engagement with students through employer-initiated activities for students and engagement in Management Career Services-led events. 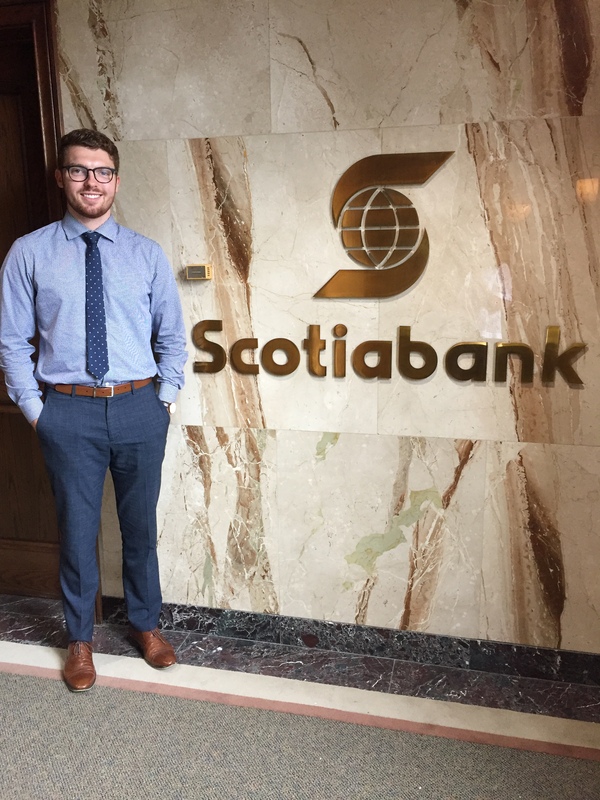 Scotiabank hired a remarkable 29 of our students for co-op and internship opportunities across the country and across various lines of business in 2015. Scotiabank’s partnership supports our annual Career Discovery Days and You’re Hired Interview Competition, enabling students to receive valuable career education opportunities. On campus, representatives from Scotiabank consistently donate their time to serve as guest speakers, industry panelists, competition judges, and mock interviewers. 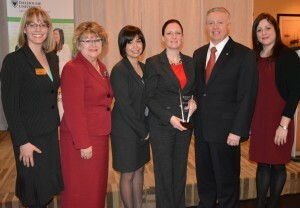 Off campus, they have regularly hosted our students as part of corporate tour events both locally and in Toronto. Representatives at every level and across the country are always available and willing to meet with and assist our students. J. D. Irving has continuously hired our students for a broad range of business-related roles across the Maritime provinces and have gone on to recruit many of our new grads for full time opportunities within the J.D. Irving family of companies. On campus, they are actively involved in the Fall recruitment season, hosting information sessions and not only attending, but also sponsoring student networking events. In addition, they have offered their time and expertise to the Accounting Case Competition each year. 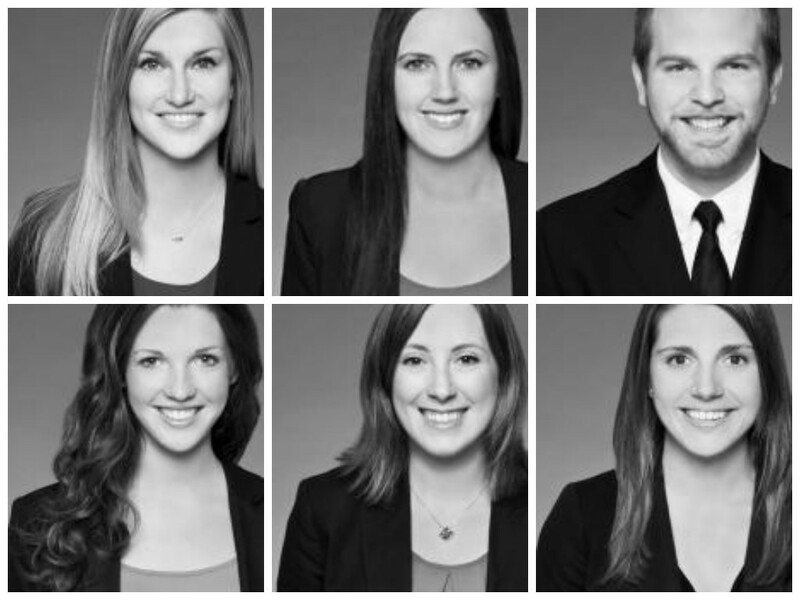 Off campus, their support of the CPA program has positioned them as one of the leaders in industry and enabled our students to gain tremendous experience within Atlantic Canada. A total of 22 supervisors were nominated by the students that worked for them for providing them with an enriching work term experience. 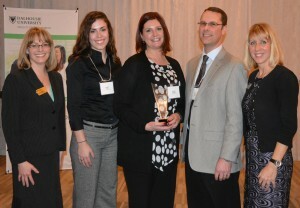 Their efforts have clearly made a positive impact in the lives of these students as young professionals. Seven of the supervisors honored were able to join us at the event. “She provided me with the opportunity to share my thoughts and ideas. She has made this work term the best of all three!” – Tatiana Olar on her Atlantic Credit Unions co-op supervisor, Diane Densmore-Evans. “Through this experience I learned a great deal, making it a very valuable experience. Workshops, advice from my team leader or my coworkers being welcoming, made my second co-op experience memorable.” – Stuart Thompson on his Canada Revenue Agency co-op supervisor, Larry Collins. “My time spent on co-op with EY was an absolute pleasure. Not only did I gain exceptional work experience in my field, but I gained a support system of industry leading professionals who truly want to see me succeed.” – Kelsey Keddy on her EY co-op supervisor, Steven Nelson. Adrian Hutcheson is a third year student in the Bachelor of Commerce program, majoring in Finance. 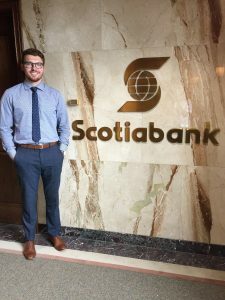 He has completed two co-op terms with TD Securities on the Institutional Money Market Desk, and will be returning to TD Securities in the summer for the Sales and Trading Associate Program. Adrian is actively involved in business case competitions, having recently won the Volunteer of the Year award at the Jeux de Commerce Central competition in January, and previously winning First Place at the Atlantic Throwdown Case Competition, Second Place at the Queens Inter Collegiate Business Competition, and Best Presenter at the Crandall University Case Competition. He is currently the Vice-President of the Dalhousie Investment Society (DALIS) which has over 150 members. Adrian recently reflected on his co-op experiences and passed on valuable advice as a panelist at the Industry Week Student Panel event. 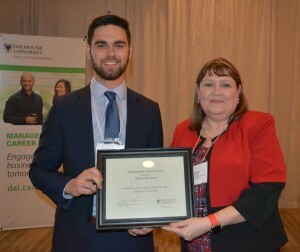 With a strong combination of work term, academic, and volunteer experiences, he is an exemplary co-op student and a role model for our finance students in particular. Congratulations Adrian!